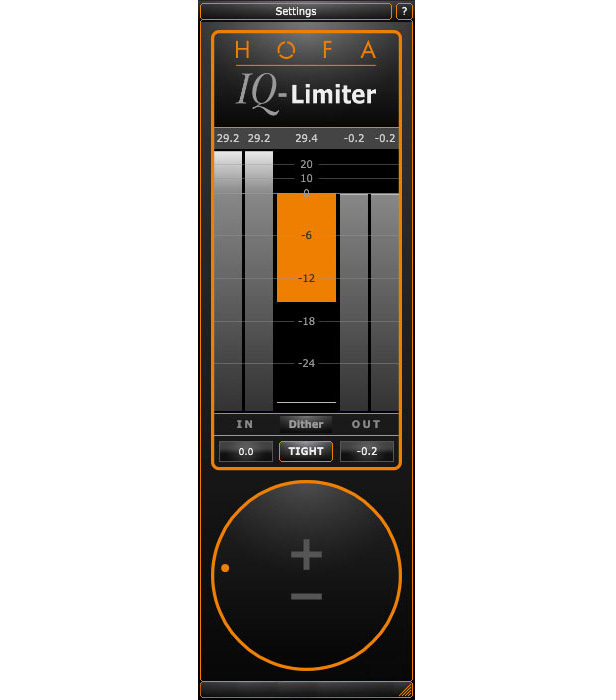 If you’re looking for the (mastering) limiter, that simply makes your productions maximally loud, you’ve finally found it. Where other plugins try to attract with many controls, the IQ-Series Limiter convinces with a clear design that resembles an exclamation mark. And that is what this plugin will do: setting an exclamation mark after all your productions. All necessary settings are regulated by the elaborately programmed intelligent algorithms, adapting themselves to the incoming audio signal.